The bizarre storyline started in 2015 when Jason Heap tried to sue his way into the chaplaincy. Not surprisingly, the Navy rejected him because he planned to associate with two humanist groups instead of an actual religious denomination. Ultimately, the military ended up in court defending the notion that religious leaders should serve a religious purpose. They won. But this year, Heap is trying again — and, according to Senator Wicker — the Chaplain Appointment and Retention Eligibility Advisory Group is actually recommending the Navy accept him. This is your U.S. Navy. Leading the way in freakish trashiness. Like always. My former Marine had to interact with the Navy during a MEU to the Middle East after his deployment to Iraq. I don’t think I’ve ever told you what he thinks about the Navy. Except for Navy Corpsmen, of course, who aren’t really Navy. No doubt as you have noted, we have some sailors being held by Iran. No doubt either, their vessels have been confiscated by Iran and are being reversed engineered now, perhaps with the help of Russian engineers and programmers. Daniel (my former Marine) and I discussed it. We both agreed upon the necessary course of action had we been on board those vessels prior to being confiscated by Iran. Call on a satellite phone with your last known location, deploy life rafts, water, guns, ammunition and food, and then scuttle the vessels. If they could not do that, they should not be sailors. I’m sorry if this offends former sailors, but this is what I think. And it’s what Daniel thinks. Sailors are supposed to be warriors too. We’ve become soft. Jean sends this along to show why the Navy needs Marine supervision. But the Marines have their own problems. FORWARD OPERATING BASE SABIT QADAM, Afghanistan – As full integration of the Infantry Automatic Rifle into the Marine Corps’ arsenal becomes complete, the M249 Light Machine Gun, formerly the Squad Automatic Weapon, slowly fades into the history of the Corps. The SAW has seen action since 1984 and has protected Marines since. Replaced by an automatic rifle of similar size and weight of the M16A4 service rifle already issued to rank and file Marines, the familiarity with the new weapon is almost instant. I asked Daniel, my former Marine, what he thought about this. This is sad. The reason we went with the SAW was because the BAR and its associated concept were inadequate. At times in combat in Iraq, we had all nine SAW gunners firing during engagements, and I’m glad that we did. We needed the fire power. In the thousands of rounds I put down range stateside and Iraq, I never had a single problem … never … had … a … single … problem, with my SAW. I kept it clean. This change to the IAR is a testimony to laziness. What do Marines want to do – take someone out on a date? What else do they have to do when they’re deployed? What’s the problem with cleaning weapons? Mine worked because I maintained it right. All this has done is make the Marines weaker. It may be that this IAR could be used for select circumstances like room clearing, but the death of the SAW will bring nothing good. Additionally, in spite of this, the Marines are still hell bent on bringing women into the infantry officer training at Quantico. The Marine Corps’ effort to evaluate whether more combat jobs should open to women marked another milestone last week when the second of two female volunteers washed out of infantry officer training. A second lieutenant, she was dropped from the program Friday after failing to complete required training due to unspecified medical reasons, a Marine official told Marine Corps Times. It’s unclear whether she was injured or if she became ill.
At Quantico, those overseeing the IOC experiment have said that it will involve up to 100 female officers and take at least a year to complete. The Marine official, speaking on condition of anonymity, reaffirmed the Corps’ intent to recruit female volunteers for subsequent iterations of the course. “This was just the first shot,” the official said. The Navy is out to lunch, but the Marines have joined them at that lunch. If they aren’t attempting to force women through training at Quantico, they are worrying over large scale, heavily armored amphibious assault landings on near peer states, something that will never occur again. Meanwhile, SOCOM continues to use up the money and be the nation’s first responders. There are no adults left in the room, and the Marines are left without mission, leadership or vision. Currently in the Persian Gulf. But there were no incidents on Tuesday as the Lincoln’s battle group crossed through the narrow strait, which Iran has threatened to close in retaliation for tighter Western sanctions. Several U.S. choppers flanked the carrier group throughout the voyage from the Gulf. Radar operators also picked up an Iranian drone and surveillance helicopter in Iran’s airspace near the strait, which is jointly controlled by Iran and Oman. Make no mistake about it. These boats are a threat to U.S. sea craft. And consider what I have reported before. … consider what happened (I have reported this before) with the 26th MEU in 2008. The USS Iwo Jima was in vicinity of the very subject of our discussion (somewhere in the Persian Gulf, or Strait of Hormuz), and an Iranian helicopter virtually landed aboard the ship. The Marines at that time judged a threat and prepared to engage the enemy, but Navy officers, not wanting an incident, of course, ensured that the Marines didn’t respond. An Iranian aircraft virtually landed on board the USS Iwo Jima, hovering above the deck for minutes. The U.S. Navy did nothing. And you can rest assured that the Navy will do nothing concerning Iranian sea-borne threats either. We’re all aware of the recent boasting over how Iran can shut down the Strait of Hormuz. We also know all about the pipelines being constructed by the UAE in an attempt to circumvent the Persian Gulf and thereby defang Iran in its hegemony over the region, at least as regards its threats over the waterways. There is also – as usual – the bluster about how Iran won’t possibly make good on its promises, and how the U.S. Navy issued threats of its own. But rest assured that if the U.S. or Israel launches a strike against the Iranian nuclear program, given the radical Mullahs apocalyptic and eschatological view of reality, they will hold nothing back from their retaliation. And don’t rest so comfortably in the blustering of of the U.S. Navy. Their fear of shore to ship missile technology has been the basis for their demurral to define any role at all in what they want so desperately to have a role in, i.e., littoral combat. They won’t tread any closer than 20 miles to shore, the “beyond the horizon” distance. As for anecdotal data, consider what happened (I have reported this before) with the 26th MEU in 2008. The USS Iwo Jima was in vicinity of the very subject of our discussion (somewhere in the Persian Gulf, or Strait of Hormuz), and an Iranian helicopter virtually landed aboard the ship. The Marines at that time judged a threat and prepared to engage the enemy, but Navy officers, not wanting an incident, of course, ensured that the Marines didn’t respond. The incident of Iran filming a U.S. Aircraft Carrier rather pales in comparison to an Iranian helicopter hovering just over the deck of the USS Iwo Jima, does it not? I have no confidence whatsoever in the willingness of the US Navy to engage Iran on any level at all. I was with DirtyMick in Asadabad during 2009-2010; I felt like our time was wasted in large part to satisfy the egos and experimentations of everyone who wanted to show how nuanced they were, and how we were going to make a lasting impact by NOT killing the enemy… An old vet told me once that “when you have them by the balls, their hearts and minds will follow”. It’s bad enough that Army and Marine Corps field grade officers are unwilling to risk their careers by granting air and indirect fire assets to troops in contact… We have Navy surface warfare officers and Air Force admin officers “leading” PRT’s; most of them without applicable experience or training – but trying desperately to pick up their O6 as they blame the Army and Marine Corps for screwing everything up. The Pashtuns are not suicidal fanatics, they are brigands. We won’t win them to our side by bribing them with roads (when many of them don’t own cars), hospitals (without doctors to staff them), or electricity (when most of them don’t own televisions). We will win them to our side by effectively separating the militant Taliban from the general populace by hunting them down and killing them. If you look back at the advent of Naval officers on PRTs in Afghanistan, it has pretty sad and naive theoretical framework. The teams were founded in 2004 and are designed to be mobile goodwill ambassadors for coalition forces, using their transportation, logistics and communications capabilities to access the most remote Afghan villages. Once there, the specialized personnel can hold medical, dental and veterinary clinics, and help build roads, wells, schools, irrigation systems and other facilities that will improve life for Afghans who have known only war and poverty for generations, Hartung said. What about the infantry, you ask? Why, they handle force protection for the team. That’s right. Force protection. But DirtyMick and Scarbelly79 have given us reason to think that things are even worse now. Naval officers are adorning themselves with medals at the expense of the fighting men, and then blaming the Army and Marines to boot. Let’s make one thing clear. We can discuss ineptitude all day, or organizational inadequacies, or lists of reasons that we are failing in Afghanistan. We can treat that with clinical precision and a degree of detachment as a scientist. But for a Naval officer on a PRT to complain and blame the fighting men is about as low as it gets. I’m not sure what medals adorn the Naval officers on the PRTs, but unless they have been involved, engaged and active in kinetic operations and under fire, they don’t deserve and shouldn’t be awarded Combat Action Ribbons. This would be a travesty. Finally, here is the prerequisite for a Naval officer to complain about anything – ANYTHING – that is going on in Afghanistan. Pick up a weapon, go on patrol, take fire, and kill the enemy. Until you do, no one cares about your complaints, and playing the blame game with men under fire is immoral. If you are a Naval officer who wants to complain, then lodge it right here, right now. But show us your combat action ribbon first. Tell us all about it. We’re waiting. Before we address the issue of Secretary of Defense Robert Gates’ position on the sea services, let’s debunk the mythical notion that either the military or the campaigns in Iraq and Afghanistan is bankrupting the country (or even demanding the lion’s share of money). From CATO (h/t Glenn Reynolds at Instapundit). That’s quite enough said about that. On to the sea services. “Our current plan is to have eleven carrier strike groups through 2040,” Gates said. But a look at the facts is warranted, he added. The United States now has 11 large, nuclear-powered carriers, and there is nothing comparable anywhere else in the world. The U.S. Navy can carry twice as many aircraft at sea as the rest of the world combined, Gates said. Under the sea, he told the group, the United States has 57 nuclear-powered attack and cruise-missile submarines – more than the rest of the world combined, and 79 Aegis-equipped surface ships that carry about 8,000 vertical-launch missile cells. The Marine Corps is now 202,000 strong. It is the largest force of its type in the world, and exceeds in size most nations’ armies. Between the world wars, the Marine Corps developed amphibious warfare doctrine and used it to great effect against the Japanese during World War II. Whether that capability still is needed, however, is worthy of thought, the secretary said. The Expeditionary Fighting Vehicle (EFV) will take a particularly tough beating over the course of the next several months and years, but the Marines have rolled out their case. The need, the Marines say, stems from their need to replace its Nixon-era Amphibious Assault Vehicles. The new vehicle will allow Marines to land on a hostile shore, a capability needed, for example, in the withdrawal of U.S. forces from Somalia in the 1990s and civilians from Lebanon in 2006, said Lt. Gen. George Flynn, who leads the Marine Corps Combat Development Command. The amphibious capability also forces adversaries to undertake “costly defensive measures,” Flynn said. 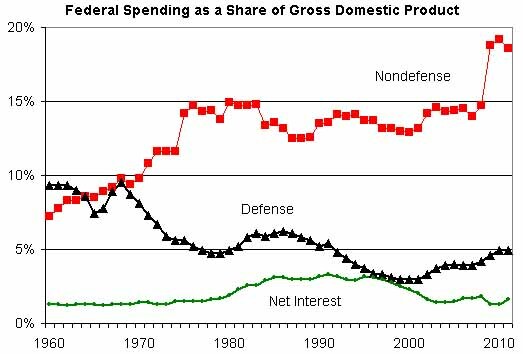 The issue of expense of military hardware, systems and size has nothing to do with overspending. It pertains to the relative commitment of this particular administration to national defense as opposed to government-run, government-administered programs and subsidies. We have the economy to support an even larger military than we currently have. What we don’t have is the national will. Aircraft carriers, as much or more than any other military hardware, is a way of projecting power across the globe. My support of them is well known, and my support for the F-22 program has been made clear. In fact, I have proposed an increase rather than a decrease in Carrier battle groups. The size of the Marine Corps is not a problem for the national economy, and it’s easy to question expenditures for a strong national defense while comfortably enjoying the peace and security that it has brought. But this isn’t the same thing as questioning the need for the EFV and the forcible entry doctrine of the Marine Corps. I have taken the doctrine to task. We don’t need 573 EFVs and eight infantry Battalions to evacuate civilians from Lebanon. The Corps obviously plans to replace its amphibious transport of Marines (currently with the LCAC) with the EFV. The Corps also plans to continue its doctrine of amphibious-based forcible entry. But as I have pointed out, there is no reason that this cannot be done via air and a new helicopter fleet. If the plan is to be prepared to invade a near-peer via an amphibious landing, this is lunacy and madness. If the plan is to save ships by allowing them to be 25 miles offshore, this is naive and sophomoric. The Navy had better be designing better counter-measures. While there is every good reason to be more efficient in both military spending and non-defense spending, there is no good reason to cut funding to the Corps. But the Corps needs to rethink its basic doctrine and reassess the real need for the EFV. Going in the direction of a lighter, air-sea-based, rapid reaction force has its merits, and should warrant some attention. Gates should hear fresh thinking from the U.S. Marine Corps, not warmed over 60 year old doctrine. It’s too bad that the QDR, that brainchild of Michelle Flourney, is such an incredible waste of ink and paper. It would have been a good repository for fresh thinking. One such Corpsman I know returned from Iraq with my son’s unit, 2/6 Golf Company, in 2007. His last name was Prince, and he was a prince of a guy. He was very kind and friendly, well trained, in excellent physical condition, and had absolute commitment to his fellow Marines. He showed me his wound from Iraq within several days of returning. A round from an AK-47 had entered through the front part of his lower thigh, ricocheted up his thigh, and exited out of the very upper part of the back of his thigh. Entry and exit wounds (now scars) were at least a foot apart. Navy Corpsmen are worth their weight in gold, and even if the Commander in Chief isn’t smart enough to know how to pronounce their billet, we have the utmost respect for them.